The slow start of the Atlantic Immigration Pilot has the support of the Immigration Plan Targets of the Federal Government. Ottawa expects the arrival 1,000 immigrations under the AIP during 2018. 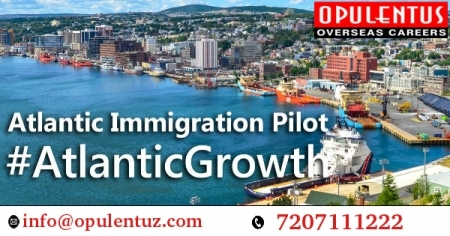 Immigration Levels Plan Targets for the Atlantic Immigration Pilot are 1,000 in 2018, 2,000 in 2019 and 4,000 in 2020. The Pilot was launched in March 2017 and is driven by employers. It has programs meant for people with high and intermediate skills and also for global graduate immigrants.The three-year pilot targets were welcoming 2,000 immigrants in the four provinces in 2017, 2018 and 2019. It focuses on retaining the primary challenge for Atlantic Provinces, who welcome immigrants, but eventually lose them to other regions of Canada when they attain permanent residence status. The immigration levels plan revealed by IRCC shows that the government believes that the pilot has a future ahead of 2019. It has a target of 4,000 immigrants to welcome in the AIP during the year 2020. The slow start is attributed to employers getting accustomed to its working, chiefly in major areas like the Settlement Plan and endorsement. These are new requirements for an immigration program. When more employers complete the registration and get accustomed to the new system, the flow of immigrants to arrive in the AIP will increase. The Pilot is designed to contest the aging demographic and overcome the difficulty in holding new immigrants in the region. The needs of a candidate in education, work experience, and job offer matters depend on the factor whether the applicant is an international student graduate or a worker. Other requirements remain the same for the categories. Work Experience for Workers says that they must have finished work for a year or 1,560 hours entirely during the previous three years. It can be in the form of full or part-time or non-continuous, till it totals 1,560 hours. It needs to be in a single occupation, Paid and done in a skill type level 0, A, B, or C and figure in the NOC. Under the High-Skilled Program, workers need one year of experience at skill type/level O/A/ B. In the Intermediate Skills Program, workers require one year experience to be selected at the skill C level which could continue gained within or outside Canada.International Graduates Candidates need not know work. an education credential of a trade/apprenticeship from Canada. They must undergo a Credential Assessment in Education to ensure that it is equivalent and valid to a credential in Canada. The ECA must be below five years when the application is submitted. The Candidates must have a degree/ diploma/certificate of two-years, or a trade/apprenticeship credential, from a publicly-funded or a recognized institution of Atlantic province. The Candidates must be a student for full-time in Canada for two years. The Candidates must have graduated 12 months before the application date. The Candidates must have lived in an Atlantic province for 16 months in the past 24 months before graduation. They must possess a permit or visa to work or study and get training in Canada. skill type/level 0, A, B, or C.
A job offer need not be in the similar occupation as in the past but the candidate has to meet requisites for the job, as are found in NOC. And the Candidates should have scored a level 4 in the CLB exam in English and French. They need to take a language test that is approved and should meet the standard for listening, speaking, writing and reading. Applicable to all three programs is that they must have sufficient cash to support themselves/families after Migration. The amount depends on the family size. Candidates should assess the needs before deciding to immigrate. After this has done, the candidate will get a plan with details of the community to move. Employers must endorse the Application for each candidate filling a current vacancy. Candidates are not entitled to apply to IRCC without an endorsement. It contains particulars of the job offer and plan of settlement.The prospective Candidates can seek our guidance in all the related matters.